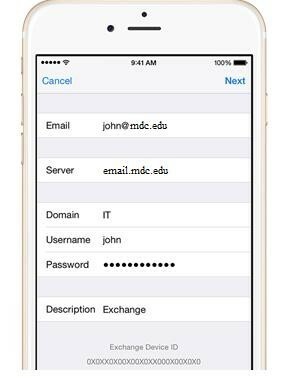 When adding your MDC mailbox, you can synchronize your Mail, Contacts, Calendars, Reminders, and Notes with your iOS device. 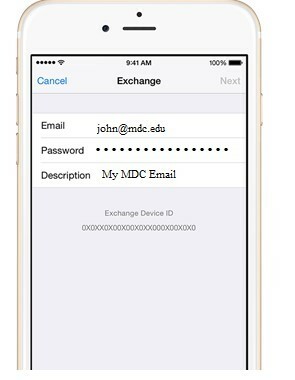 Enter your email address johndoe@mdc.edu and your MDC password. If you want to, you can also enter an account description. Edit your Exchange settings only if you need perform additional changes like change the description, how often you want email to by synced, or to remove items you are syncing. 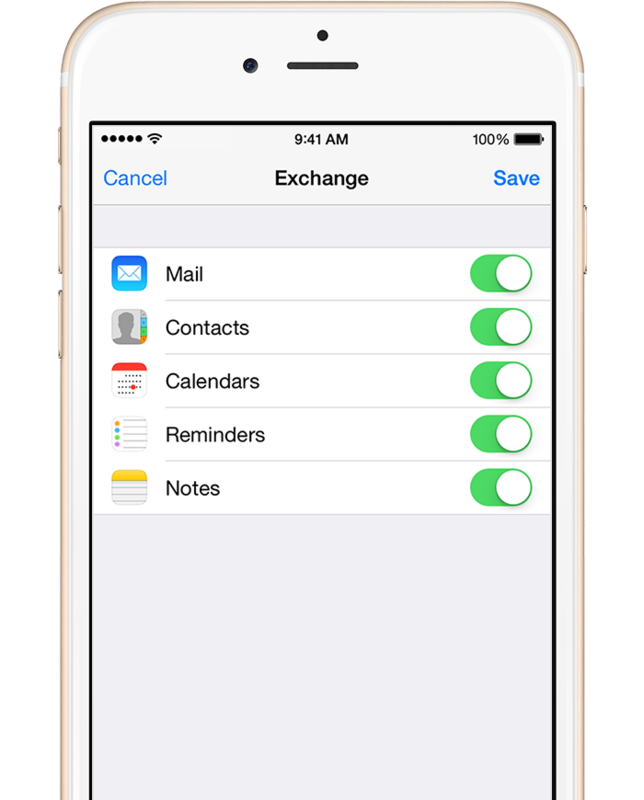 Tap Settings > Mail, Contacts, Calendars, select your Exchange account, and tap Account Info. You can also go here to set up automatic out-of-office replies and change how often you want Mail to sync (the default is 7 days).